United Airlines goes for Gold again. 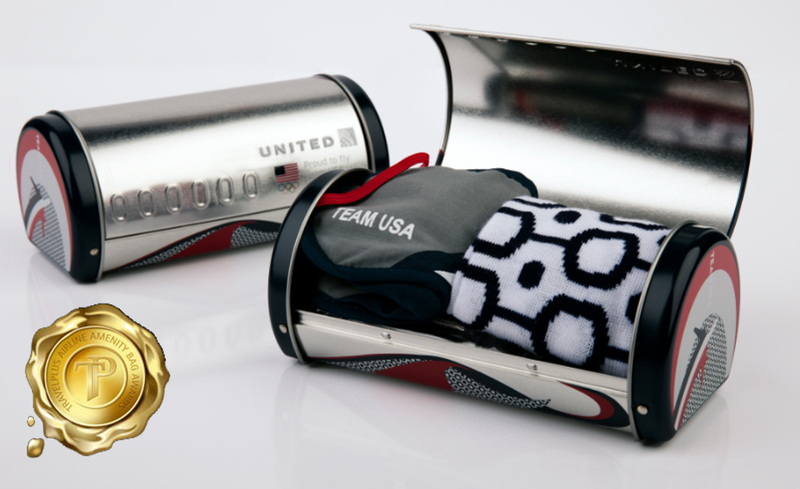 KVB Design in collaboration with United Airlines, design their latest on board amenity kit. 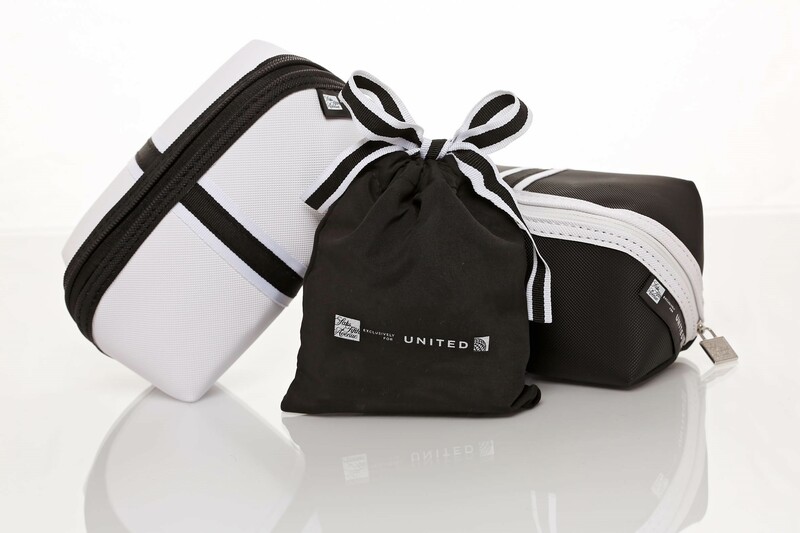 The Saks Fifth Avenue / United Airlines amenity kit is shortlisted for ‘Best Business Class the Americas’ at the 2019 Travelplus awards. The winners to be announced in April at the World Catering and Services Expo, Hamburg, Germany. Expanding Osprey London’s brand high street presence, we were tasked by Graeme Ellisdon to create a new retail format, focusing on Osprey’s wide range of curated collections. The new 1,100 square feet concept store showcase Osprey’s bestselling products along with a wide range of their rotating products, which are fun, practical of premium quality. 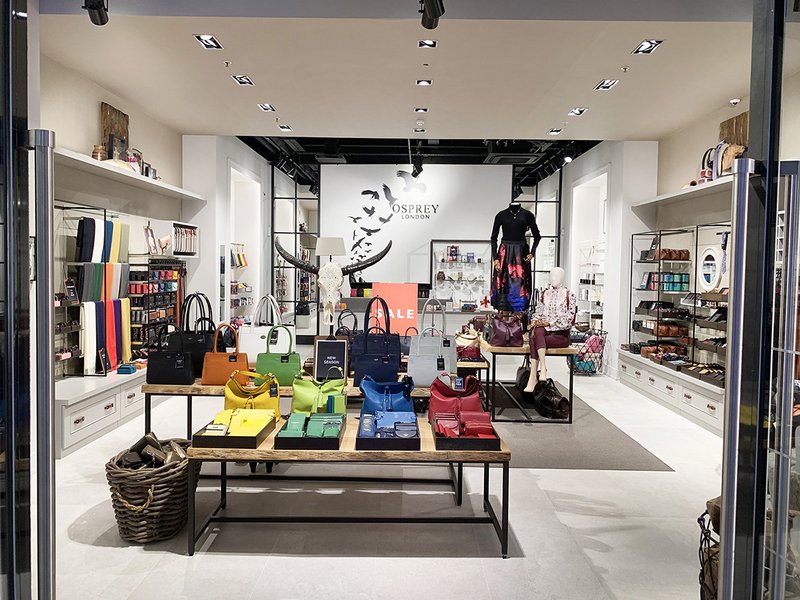 The challenge was to create a retail concept that will stand out in the Outlet market, combines personality and flexibility in order to communicate the unique Osprey London brand and meets the needs of today’s customers. SILVER, Best Interior – Non-food retail & Telecommunications. SILVER, Best fixtures, materials & finishes. 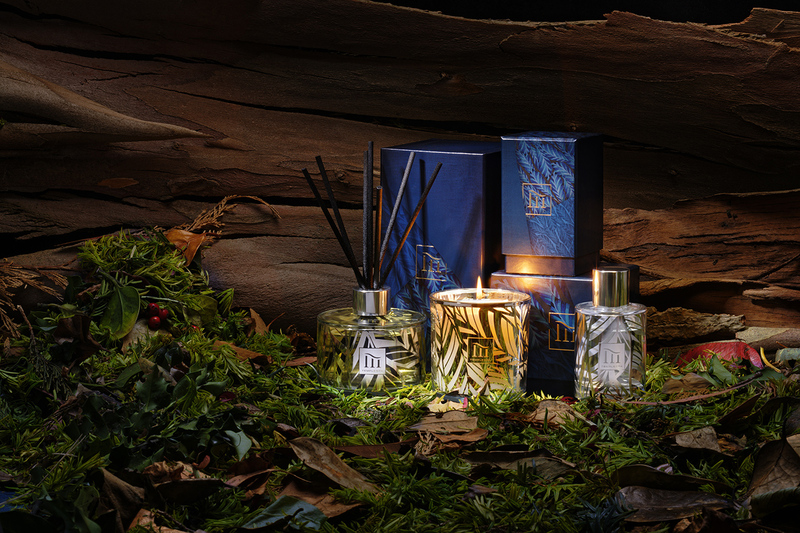 After several years of successful collaboration KVB Design were tasked with designing the new Temple Spa Christmas collection for Autumn-Winter 2018. 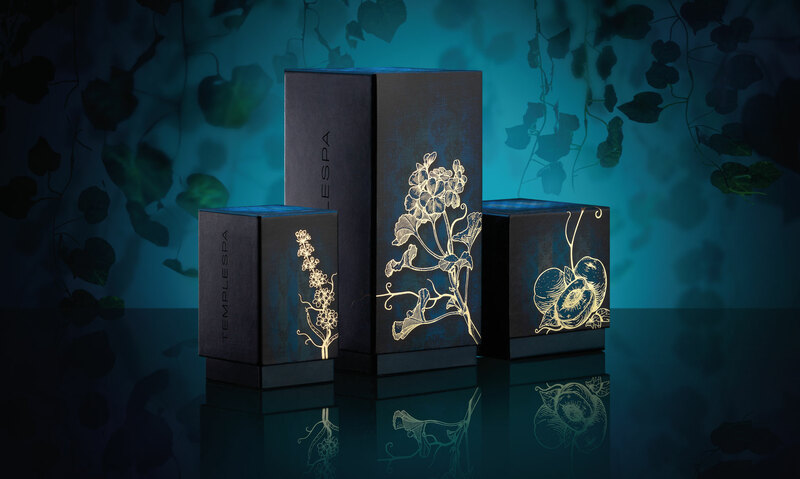 The design concept draws inspiration from the origins of the Temple Spa brand, taking the customer on a meandering journey through the Mediterranean. 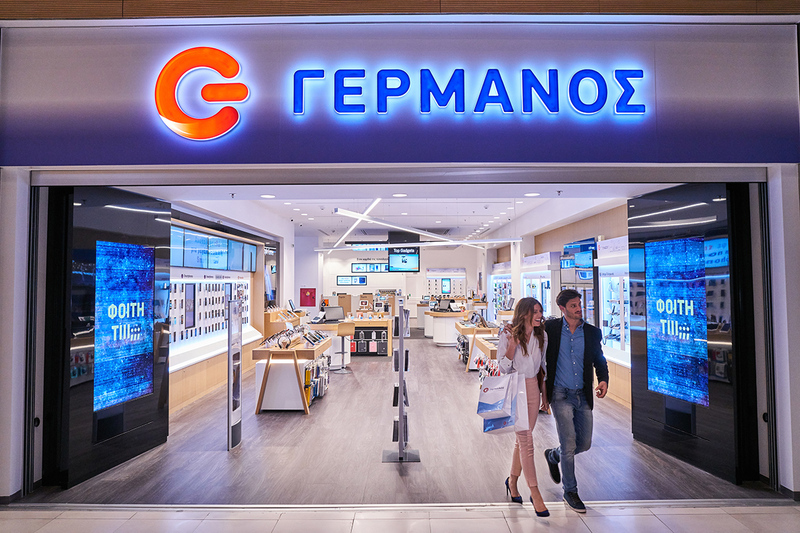 Following our long cooperation with Germanos, Greek technology retailer, we are pleased to present Germanos new flagship store, opened on the 25th September in the influential Glyfada area of coastal Athens. This is a new generation store occupying 3 stories retail space. 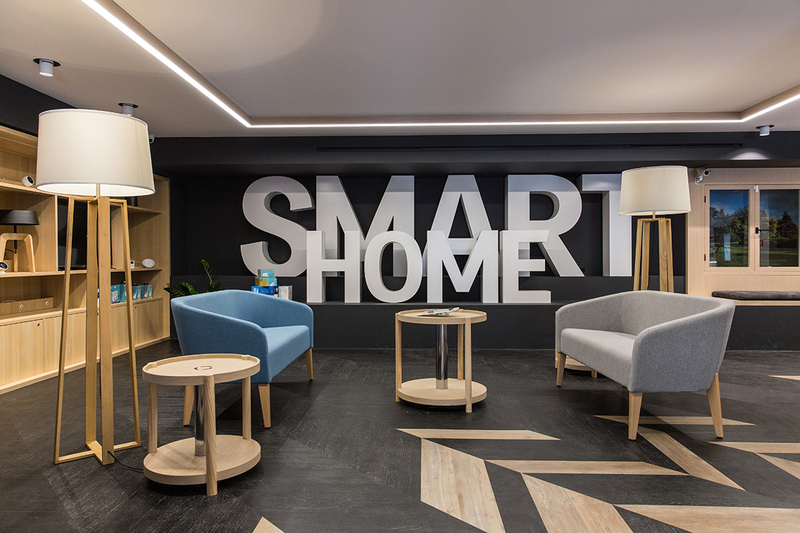 The store features several areas for live product experience such as Gaming, Smart Gadgets, Smart Home, 3D printing and TV etc. 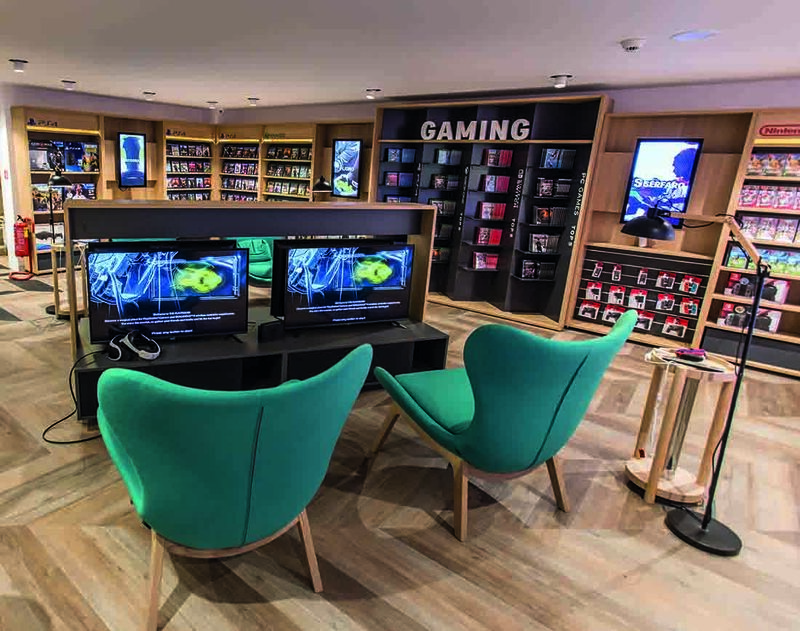 The store has an innovative feel, completely new environment through which customers can try and experience the latest technology products in comfortable and homely settings. This store is all about customer experience, product innovation, service and comfort. 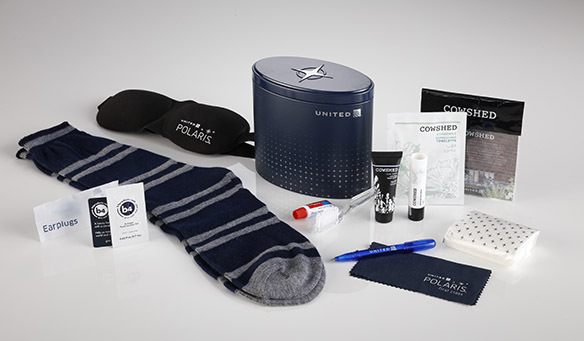 United Polaris® premium cabin celebrates their namesake, the North Star, with our latest amenity kit design on long haul international flights. The tin kit retains the iconic oval shape with addition of a satin finish and star pattern to compliment the design. These beautiful kits contain everything travellers need to arrive at their destination feeling refreshed and revitalized including a signature padded eye mask and cosy socks in United colours, along with skincare products from Soho House & Co’s Cowshed Spa. Panorama Shopping and Entertainment Centre is home to a new Gastronomy house which brings together 20 plus premium food stores under one single roof. Offering fresh meat, fish, seafood, luxury drinks, pastries, desserts and organic food by local retailers, the new Gourmet centre is thrilling customers’ taste buds with world class cuisine flavours. Gourmet PANORAMA is where the customer has more space, where the customer ‘after breezing through your daily chores’ can find a place to relax and a place where they can feel at home and enjoy some of the very best freshly-made local delicacies and dishes. 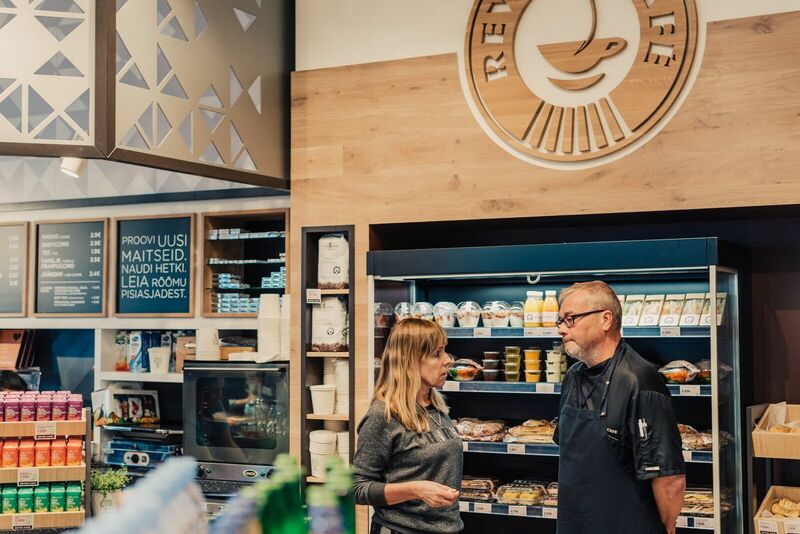 We continue our association with Reval Café, the Estonian Coffee and food retailer, working with Reval’s owners and their marketing department. The working brief was to create a totally new takeaway concept with the first new retail outlet opening within the newly refurbished Solaris Shopping Centre in Estonia’ capital city of Tallinn. The new concept sets out to transform the look and feel of Reval Cafe with a new takeaway concept featuring Reval’s superb offer of specialist coffee and takeaway food. The first Reval to Go cafe was opened in May 2017. KVB Design and Linstol win Gold at the Travel Plus awards 2018. We were awarded the honour for our work carried out in collaboration with United Airlines and Saks Fifth Avenue winning best Business Class kit for The Americas. Continuing our long association with Germanos, the Greek telecommunication company specialising in high-end electronic devices, computers, mobile telephony and internet solutions. KVB Design and Germanos received three awards by the Greek Retail Awards 2018 for outstanding design work. 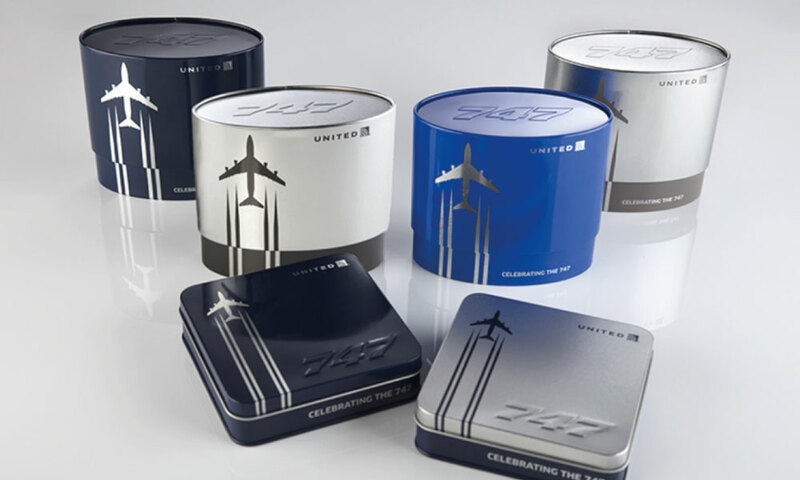 To commemorate the final United 747 flight on November 7th 2017 we were working with Linstol and United Airlines to create an iconic Boeing 747 inspired amenity kit. This was the last 747 aircraft in service before being replaced by a more up to date model. A completely unique oval shaped tin was created for the more premium cabins. Check out the full story in our projects section. Great design proves a success with the Christmas 2017 collection selling out by early December 2017, which is a true testament to the success of our wonderful cooperation. 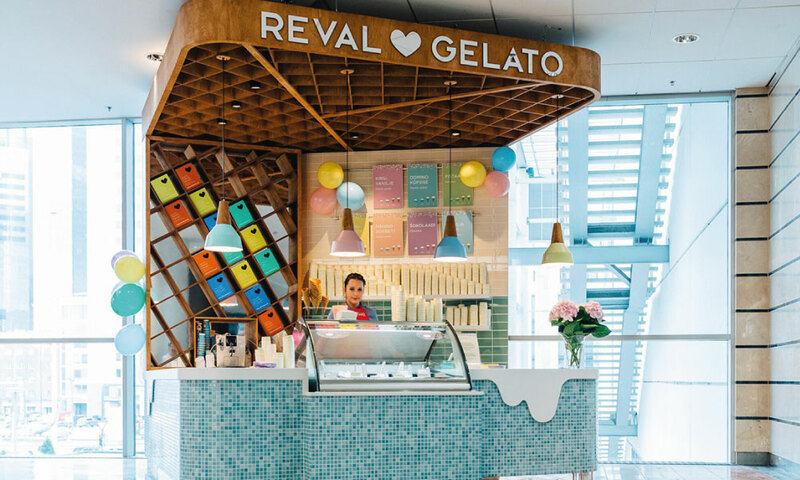 Reval Cafe, the Estonia coffee brand company approached us to design a stand-alone retail concept for their new Italian Gelato Ice cream product range. Creating a colourful, fresh and fun environment that fits seamlessly into the Reval Coffee brand whilst having a refreshed look.